Our FIT Radio Office Runs on Red Bull, Daily. Comments: Comments Off on Our FIT Radio Office Runs on Red Bull, Daily. FIT Radio recently partnered up with Red Bull to help host and promote the Red Bull Thre3Style Event: A World Renowned DJ Competition (Crossing Every Ocean!). Let me start off by saying, here at FIT Radio, we are avid Red Bull drinkers (by this, I mean we have CASES of Red Bull in our office at any given moment). No lie. So, of course, we all wanted to start flying around the office when we heard the news that we were partnering up with Red Bull. Not only were we excited to work with Red Bull, but we were also pumped to have a number of our own DJs be invited to compete in the competition. As our DJs got ready for their 15 minutes under the spotlight, our Marketing Team got buzzing. 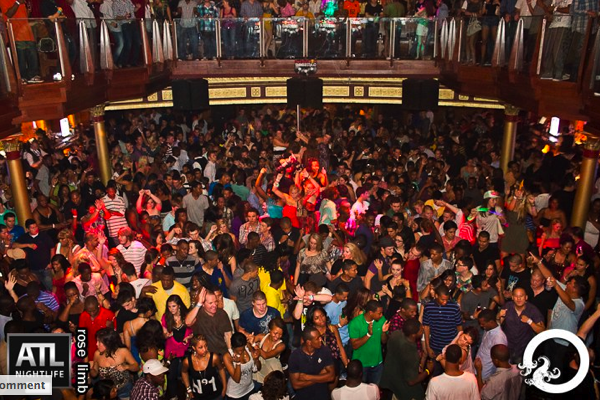 On the night of the event, 1,870 people came out to participate in the “dance floor mayhem” this event promised to produce. I can assure you, this promise did not fall short. The dance floor was packed; all you could see was a sea of people from the stage to the wall. It was a night full of energy (We can thank the “Red Bull Perfect Pour” for that!) and, yes, mayhem. The crowd went nuts when they heard a song they loved, and they all joined in to cheer on and support their favorite DJs. All in all, it was a night to remember – especially for the DJs who participated. They all rocked it out! And, I am happy to point out, a number of our FIT Radio DJs placed in the competition! Placed: 1st) DJ Jelly, 2nd) DJ KO, and 3rd) DJ Chris Rimby.Great job guys! 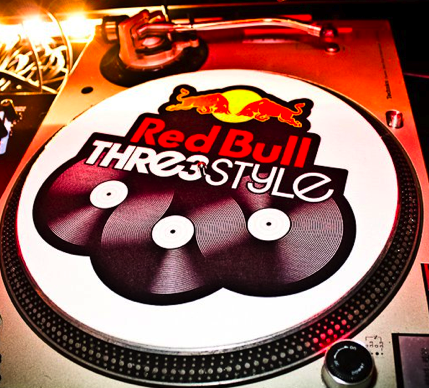 FIT Radio has put together a Red Bull Thre3Style Station playing mixes from DJs who competed in the event. Check it out, and, of course, tell your friends! DJ Jelly will go on to Vegas to compete in the National Final. The winner from National will then go on to compete in the Final Competition against 9 other countries in Vancouver, Canada in December. Good Luck Jelly; Atlanta will be rooting for you! Some Insider Information: Working with Red Bull. We cannot say enough wonderful things about the experience we had in working with Red Bull and our Red Bull Event Marketing Manager, Michael Vaughn. Everything ran seamlessly from the very beginning, and you could tell it was not Michael’s “first rodeo”. The event turned out to be a complete success. We look forward to working with the professionals at Red Bull again in the future.